It's been over a week since retail sales of Apple Watch began at a select few boutique stores around the world. 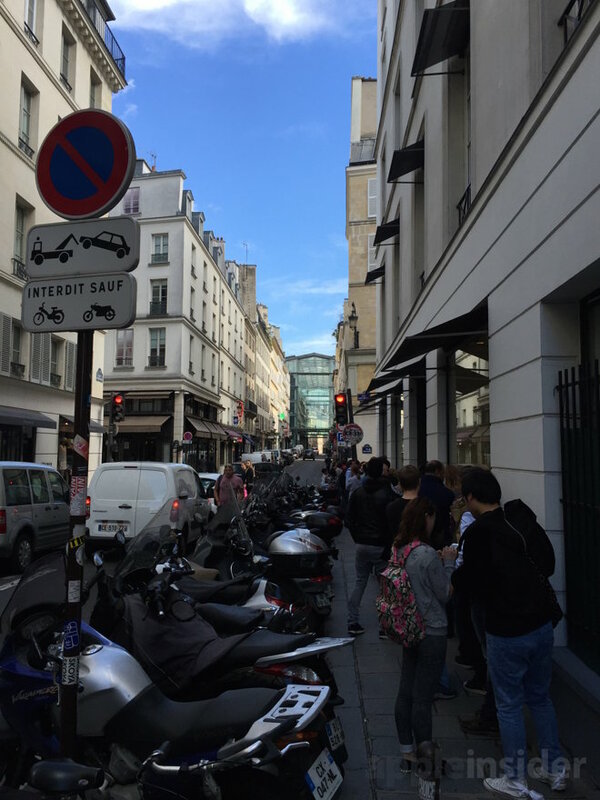 In Paris, the exclusive location for obtaining one is still managing a line of over 70 people waiting to buy. Colette is a boutique shop where most shoppers wouldn't typically think to go shop for a tech product. 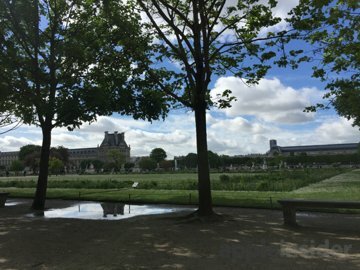 It's located in a tiny shopping district in the heart of the 1st arrondissement of Paris. 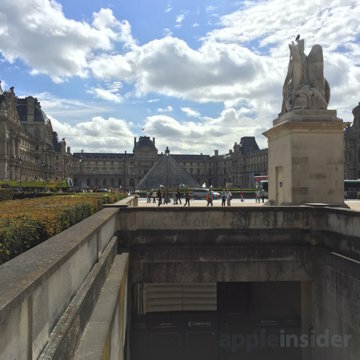 Despite being just a few blocks from Apple's Carousel du Louvre store as well as the Opera store, Colette is also the exclusive retail home of the Apple Watch in Paris. Even Galleries Lafayette, which is planned to carry the Watch, did not appear to have any in stock during the launch week. 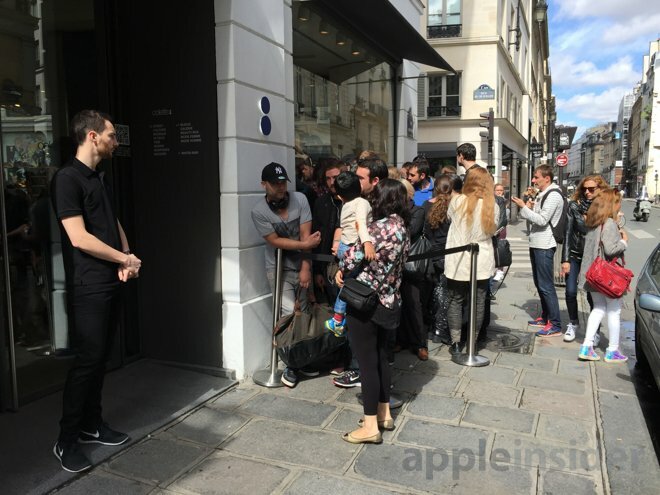 Early this week, there were over 70 people in line at Colette waiting to buy an Apple Watch, and it appeared that customers were generally able to get the model they desired. 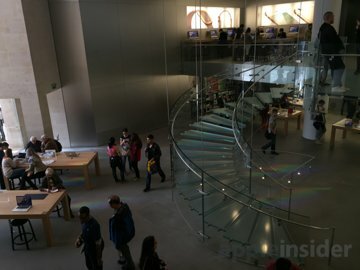 It would be much harder to manage this sort of inventory variety at a broader range of stores, so it's possible Apple could be using these shops as a sort of "soft" launch to help gauge consumer demand at retail. It's worth noting that dozens of people were waiting in the slow-moving line for the Apple Watch at Colette, despite the fact that the weather outside was beautiful. Long lines at Colette greeted the launch of the Apple Watch last month, when more than 150 people were waiting for the device to go on sale. But the complexity of selling a brand new product with so many personalized options has forced Apple to push the vast majority of orders online, rather than attempting to stock in-store inventories. Colette is joined by Dover Street Market in London and Tokyo, the Corner in Berlin, 10 Corso Como in Milan, and Maxfield in Los Angeles as a select number of boutique outlets offering the Apple Watch for walk-in purchase at retail.